If David Cameron stands up on Friday – as the Conservative Party have evidently told the Telegraph he plans to – and claims he has won the election and will form the next government because he is the leader of the single largest party, that is a coup. The next democratically elected government of the UK is the government that has the votes to pass a Queen’s Speech setting out the legislative programme for the Parliament, and to pass a budget saying how that programme will be funded. If David Cameron has been paying attention to the polling results, he knows that largest party or not, he cannot form the next government: he does not have the confidence of the House of Commons and therefore he does not have the democratic support of the voters. David Cameron is expected to claim that even if Ed Miliband can show he has the confidence of the elected House of Commons and get his legislative programme and his budget passed, Labour’s democratically-elected government would be “illegitimate” because it would have SNP support, and only the Conservatives should get to form a government even though they have a minority of the MPs. I would like to say that the police would be around shortly after that attempted coup to arrest David Cameron for inciting insurrection against the democratically-elected government, but I have a horrid feeling that it will take days to complete the process of proving to Cameron and the Tories that they cannot win an election just by closing their eyes and screaming “I won! 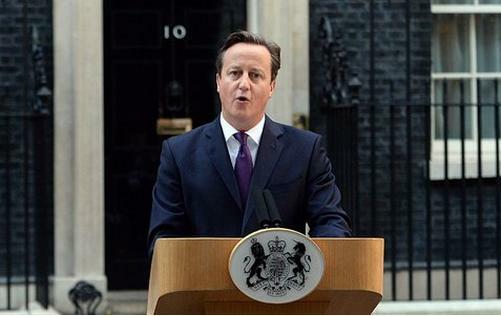 I won!” no matter how they did it when they were Bullingdon boys. Bear in mind, of course, that the Murdoch-owned press and other media in the UK have been instructed to do everything they can to ensure a Conservative victory: and that in 2000, the Murdoch-owned Fox News “won” the election for George W. Bush by simply announcing, ahead of the results, that Bush had won and Gore had lost: Gore believed the announcement, rang Bush to formally offer his congratulations, and never made it back from that first false step. By October 2001, when an independent full count of all Florida ballots showed definitely that Gore had won, the US press didn’t want to mention that inconvenient fact. It would not surprise me at all if the Murdoch-owned press in the UK were to try a similar tactic on Friday 8th May. Take a look at the numbers from the polling summaries that David Cameron has evidently been looking at: they give a Labour minority government or a Labour-led coalition the majority needed to pass the Queen’s Speech, or to vote down any such attempt by the Conservatives. Predicted seats for Labour: 275. Tories could maybe muster UKIP (1), LibDem (18), and DUP (10). Total for the Tories: 311. Labour can be confident in the support of SNP (52), Plaid Cymru (3), Green (1). Total for Labour: 331. Predicted seats for Labour: 266. Tories could maybe muster UKIP (3), LibDem (20), and DUP (10). Total for the Tories: 314. Labour can be confident in the support of SNP (52), Plaid Cymru (4), Green (1). Total for Labour: 323. Of course Cameron would call that “illegitimate”: he’s a sore, sore loser. But no matter which way you look at it, the Conservatives have only the very shaky support of three hard-to-reconcile allies who together don’t look likely to be able to outvote Labour plus the three parties who are confidently opposed to another Conservative government. It would be ironic indeed if David Cameron were to cite Scottish Labour’s claims that the largest party gets to form the government, in defense of his attempted coup. But no matter how he or the non-dom-owned press try to spin it, the only way to form a legitimate government in the UK is for a majority of democratically-elected MPs to support you: and I don’t see how Cameron can do that, and I don’t think he does either. I don’t understand how this coup is supposed to work. Surely if the Tories don’t have enough support in the Commons to pass a Queen’s Speech, it won’t, er, pass? Cameron can shout about legitimacy all he wants, but if he doesn’t have the votes he doesn’t have the votes.